A council employee has lost a memory stick believed to contain confidential information about vulnerable children, it has emerged. Neath Port Talbot council has launched an internal investigation following the loss of the data. It said it had informed the relevant authorities but added it would be "inappropriate" to comment until the investigation had concluded. One foster carer has claimed the information could put children at risk. The anonymous carer told the South Wales Evening Post the children he cared for were "end-of-the-line kids". "If the people around here knew about their backgrounds, I would probably get a brick through the window," he added. "In some cases if the information got out, it could put them at risk." 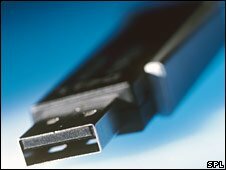 Andrew Thomas, head of support services and commissioning education and lifelong learning at Neath Port Talbot council said: "Neath Port Talbot council has launched an internal investigation following the loss by a staff member of a memory stick containing confidential information. "It is inappropriate for us to make any further comment until the investigation has been concluded. Action has been taken to inform the relevant authorities." Earlier this month, an employee of Leeds council dropped a memory stick containing data on more than 5,000 nursery-age children living in the area. It also contained information on child protection and whether or not the children's parents claimed state benefits. A member of the public found the stick and handed it in.